We’ve read so many sad stories about communities that were fatally compromised or destroyed due to security exploits. We took that lesson to heart when we founded the Discourse project; we endeavor to build open source software that is secure and safe for communities by default, even if there are thousands, or millions, of them out there. As a site owner, you can easily back up and restore your entire site database from the admin panel, right in your web browser. Automated weekly backups are set up for you out of the box, too. I’m not the world’s foremost expert on backups for nothing, man! Over the years, we’ve learned that balancing security and data portability can be tricky. 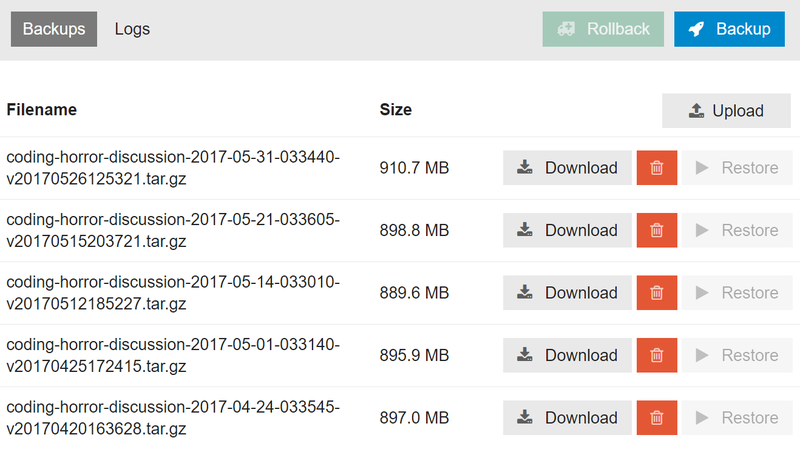 You bet your sweet ASCII a full database download is what hackers start working toward the minute they gain any kind of foothold in your system. It’s the ultimate prize. The name of the security game is defense in depth, so all these hardening steps help … but we still need to assume that Internet Bad Guys will somehow get a copy of your database. And then what? Well, what’s in the database? Cookies are, of course, how the browser can tell who you are. Cookies are usually stored as hashes, rather than the actual cookie value, so having the hash doesn’t let you impersonate the target user. Furthermore, most modern web frameworks rapidly cycle cookies, so they are only valid for a brief 10 to 15 minute window anyway. Let’s assume for the sake of argument that this is a fully public site and nobody was posting anything particularly sensitive there. So we’re not worried, at least for now, about trade secrets or other privileged information being revealed, since they were all public posts anyway. If we were, that’s a whole other blog post I can write at a later date. What’s left is the password hashes. And that’s … a serious problem indeed. Now that the attacker has your database, they can crack your password hashes with large scale offline attacks, using the full resources of any cloud they can afford. And once they’ve cracked a particular password hash, they can log in as that user … forever. Or at least until that user changes their password. ?? That’s why, if you know (or even suspect!) your database was exposed, the very first thing you should do is reset everyone’s password. But what if you don’t know? Should you preemptively reset everyone’s password every 30 days, like the world’s worst bigco IT departments? That’s downright user hostile, and leads to serious pathologies of its own. The reality is that you probably won’t know when your database has been exposed, at least not until it’s too late to do anything about it. So it’s crucial to slow the attackers down, to give yourself time to deal with it and respond. I’ve seen guidance that said you should set the overall work factor high enough that hashing a password takes at least 8ms on the target platform. It turns out Sam Saffron, one of my Discourse co-founders, made a good call back in 2013 when he selected the NIST recommendation of PBKDF2-HMAC-SHA256 and 64k iterations. We measured, and that indeed takes roughly 8ms using our existing Ruby login code on our current (fairly high end, Skylake 4.0 Ghz) servers. But that was 4 years ago. Exactly how secure are our password hashes in the database today? Or 4 years from now, or 10 years from now? We’re building open source software for the long haul, and we need to be sure we are making reasonable decisions that protect everyone. 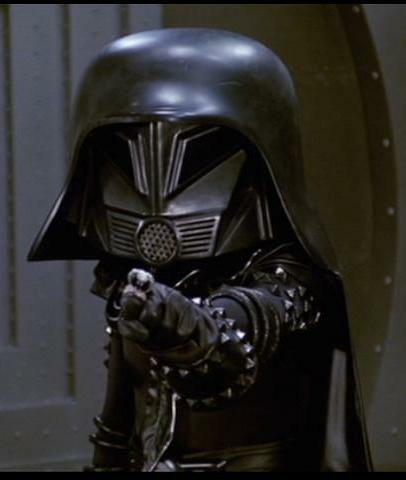 So in the spirit of designing for evil, it’s time to put on our Darth Helmet and play the bad guy – let’s crack our own hashes! We’re gonna use the biggest, baddest single GPU out there at the moment, the GTX 1080 Ti. As a point of reference, for PBKDF2-HMAC-SHA256 the 1080 achieves 1180 kH/s, whereas the 1080 Ti achieves 1640 kH/s. 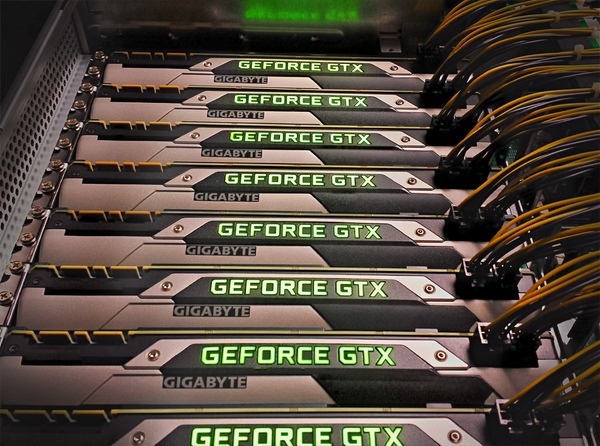 In a single video card generation the attack hash rate has increased nearly 40 percent. Ponder that. Note that this is an intentionally tiny amount of work, it’s only guessing three digits. And sure enough, we cracked it fast! See the password there on the end? We got it. Now that we know it works, let’s get down to business. But we’ll start easy. How long does it take to brute force attack the easiest possible Discourse password, 8 numbers – that’s “only” 108 combinations, a little over one hundred million. Even with a top of the line GPU that’s … OK, I guess. Remember this is just one hash we’re testing against, so you’d need one hour per row (user) in the table. And I have more bad news for you: Discourse hasn’t allowed 8 character passwords for quite some time now. How long does it take if we try longer numeric passwords? A brute force try-every-single-letter-and-number attack is not looking so hot for us at this point, even with a high end GPU. But what if we divided the number by eight … by putting eight video cards in a single machine? That’s well within the reach of a small business budget or a wealthy individual. Unfortunately, dividing 38 months by 8 isn’t such a dramatic reduction in the time to attack. Instead, let’s talk about nation state attacks where they have the budget to throw thousands of these GPUs at the problem (1.1 days), maybe even tens of thousands (2.7 hours), then … yes. Even allowing for 10 character password minimums, you are in serious trouble at that point. If we want Discourse to be nation state attack resistant, clearly we’ll need to do better. Hashcat has a handy benchmark mode, and here’s a sorted list of the strongest (slowest) hashes that Hashcat knows about benchmarked on a rig with 8 Nvidia GTX 1080 GPUs. Of the things I recognize on that list, bcrypt, scrypt and PBKDF2-HMAC-SHA512 stand out. My quick hashcat results gave me some confidence that we weren’t doing anything terribly wrong with the Discourse password hashes stored in the database. But I wanted to be completely sure, so I hired someone with a background in security and penetration testing to, under a signed NDA, try cracking the password hashes of two live and very popular Discourse sites we currently host. Using common password lists and masks, I cracked 39 of the 11,997 hashes in about three weeks, 25 from the ???????? community and 14 from the ???????? community. If we multiply this effort by 8, and double the amount of time allowed, it’s conceivable that a very motivated attacker, or one with a sophisticated set of wordlists and masks, could eventually recover 39 × 16 = 624 passwords, or about five percent of the total users. That’s reasonable, but higher than I would like. We absolutely plan to add a hash type table in future versions of Discourse, so we can switch to an even more secure (read: much slower) password hashing scheme in the next year or two. After this exercise, I now have a much deeper understanding of our worst case security scenario, a database compromise combined with a professional offline password hashing attack. I can also more confidently recommend and stand behind our engineering work in making Discourse secure for everyone. So if, like me, you’re not entirely sure you are doing things securely, it’s time to put those assumptions to the test. Don’t wait around for hackers to attack you — hacker, hack thyself!